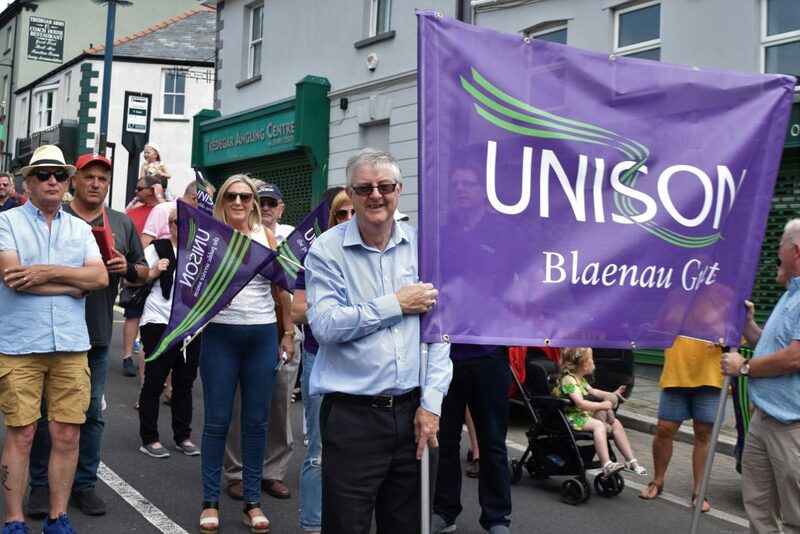 UNISON members joined hundreds of other trade unionists and supporters last Sunday (1st July) to march through Tredegar, birthplace of the NHS, to commemorate its 70th anniversary. 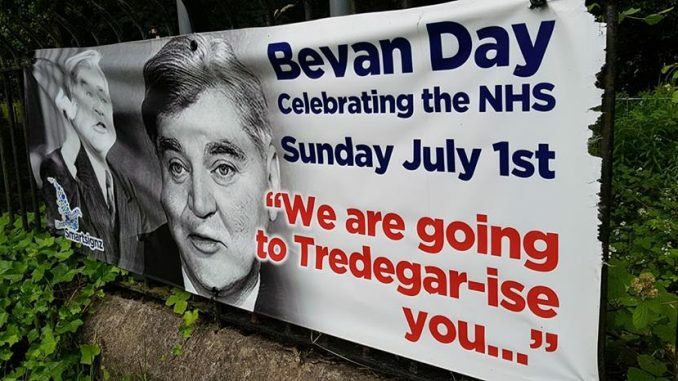 Aneurin Bevan, architect of the NHS, was born and bred in Tredegar and had based the model of the NHS on miners hospitals in Tredegar. He was inspired by a late Victorian system that saw local miners and steel workers paying subscriptions every week to be covered for medical and hospital expenses. 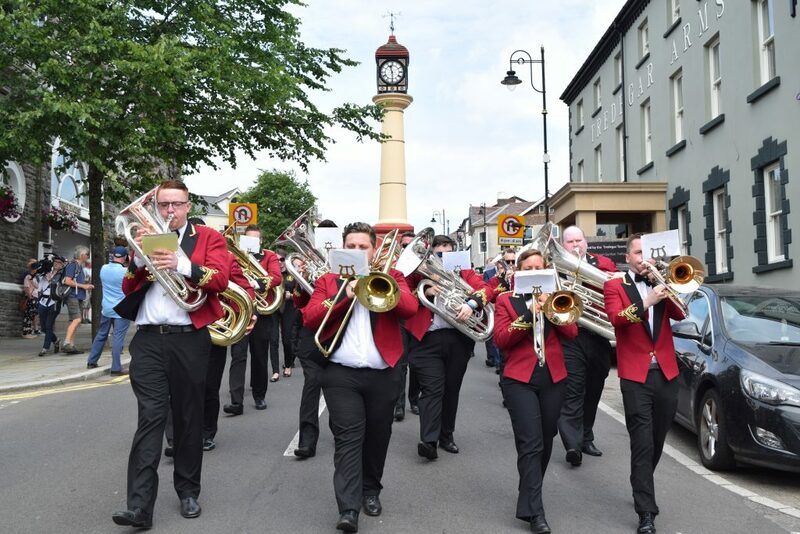 To mark the 70th anniversary NHS, which came into being on 5th July 1948, over 200 people marched from 32, Charles Street, the house where Bevan was born, to Bedwellty Park. 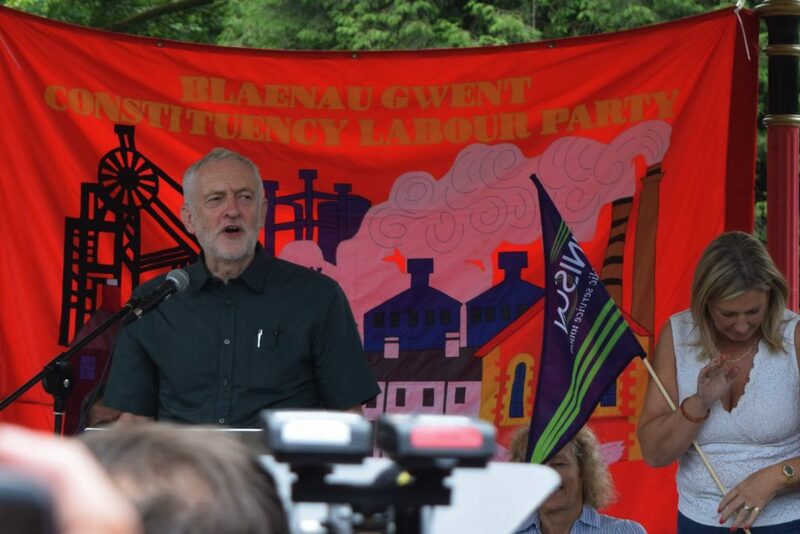 On arriving at the park there were a series of speakers, including First Minister, Carwyn Jones, UNISON Cymru Wales Regional Secretary Margaret Thomas and Labour Party Leader Jeremy Corbyn. Critical of the current government’s handling of the NHS, Mr Corbyn told the crowd that growing inequalities in society caused many of the illnesses the NHS ended up treating. 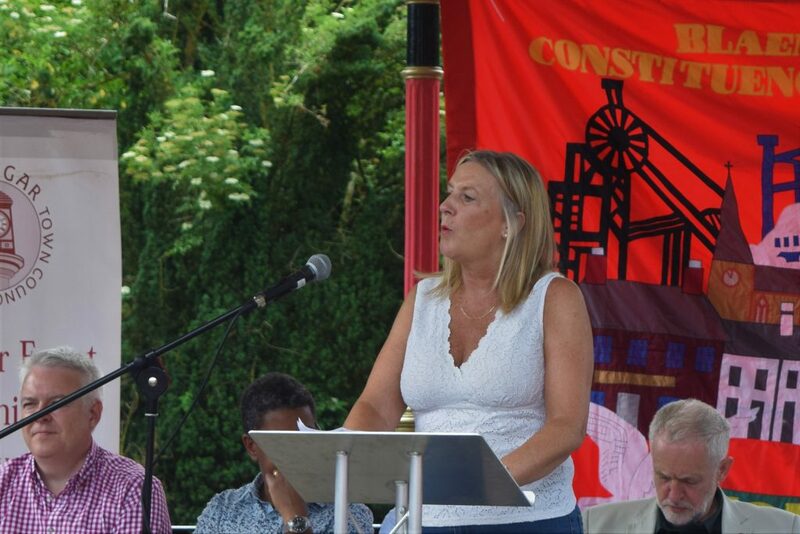 Margaret Thomas of UNISON stated, “The country was on its knees after the Second World War but we found the money to build the NHS, mass council house construction and provide affordable education. “Labour’s manifesto in 1945 promised a bold future and theirs and Nye’s creations are a lesson to today’s politicians about ambition and how they might positively shape society. Nye created the NHS in the face of furious opposition from the Tories; their negative attitude towards public service provision continues to this day”. 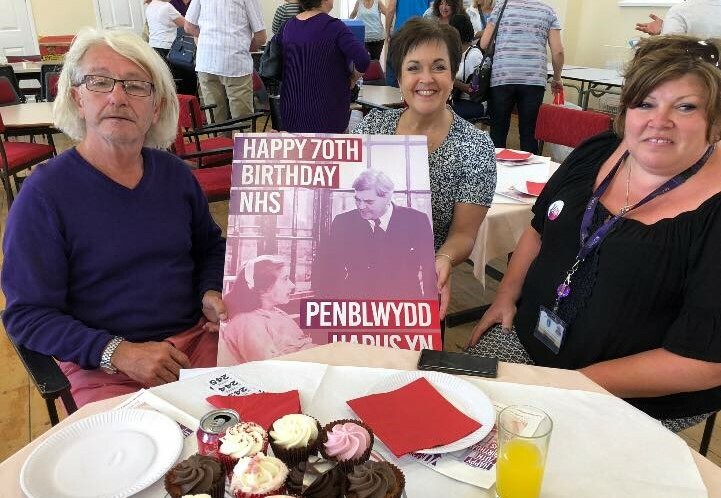 Celebrations of the 70th anniversary of the NHS have continued throughout the week, including Dawn Bowden AM presenting a birthday card to workers at the Kier Hardy health park in Merthyr Tydfil. Earlier this week, Welsh actor Martin Sheen had a birthday surprise for Aneira Thomas, the first baby born in the NHS, at one minute past midnight on 5th July, 1948.